<Click here for the Niagara Falls Web Cam ! 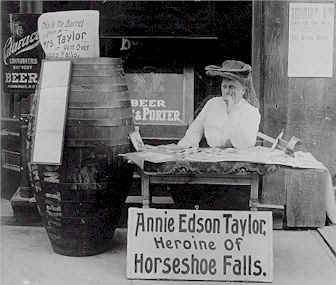 Annie Taylor was the first person to conquer the falls in a barrel. After climbing inside her airtight wooden barrel, the air pressure was compressed to 30 p.s.i. with a bicycle pump. Though bruised and battered Annie made it, she expected fame and fortune. 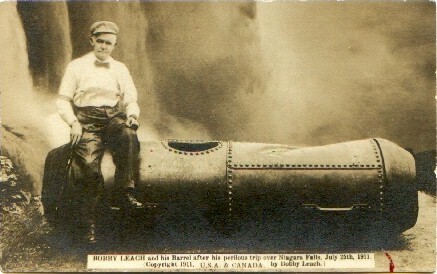 The infamous Bobby Leach plunged over the Falls in a steel barrel. Bobby broke both kneecaps and his jaw during his daring event. Years later while touring in New Zealand, Bobby slipped on an orange peel and died from complications due to gangrene ! Englishman Charles G. Stephens equipped his wooden barrel with an anvil for ballast. 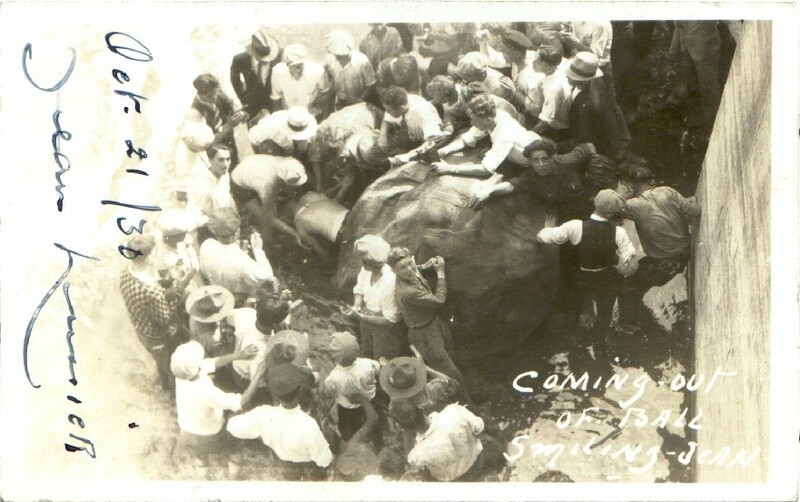 Charles tied himself to the anvil for security. After the plunge, Chucks right arm was the only item left in the barrel. 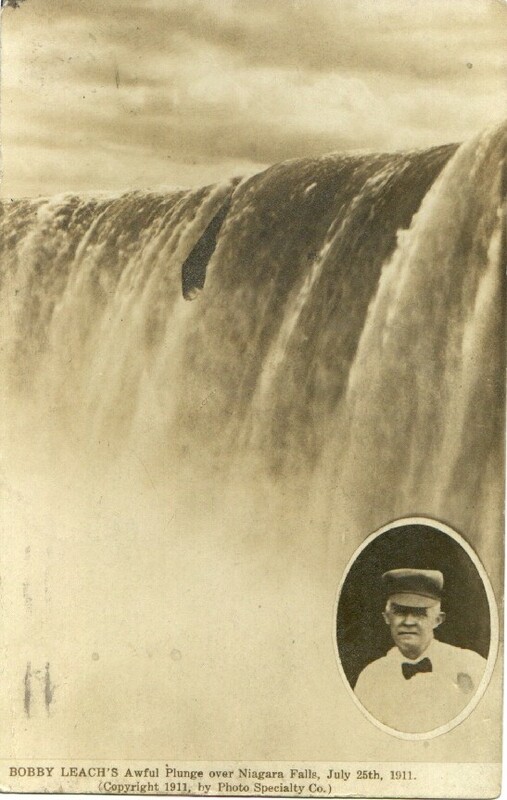 A Greek waiter named George L. Statakis suffocated to death after his barrel was trapped behind the falls for more than 14 hours. Nathan Boya drops off the brink in a ball-like contraption. 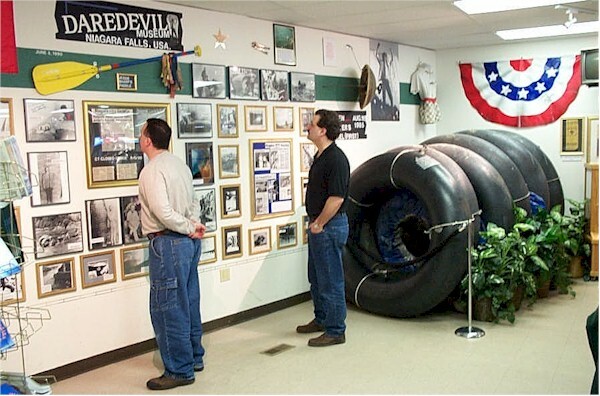 A Rhode Island bartender named Steven Trotter made the trip in a barrel wrapped in inner tubes. 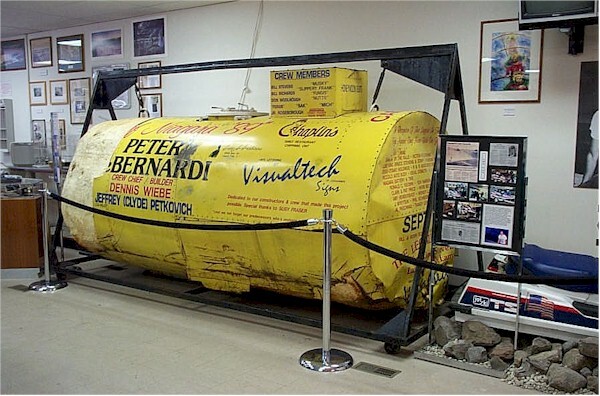 A Canadian mechanic John "Super Dave" Munday made a successful trip in his barrel. Dave could not get enough! He made a second successful trip on September 26th 1993.
the first duo descent of the Falls. Robert Overcracker rides a jetski over the brink of the Horseshoe Falls to help promote awareness for the homeless. His parachute did not open and Robert ended up promoting better parachutes. He plunged to his death and his body was never recovered. An Egyptian tourist captured this amazing image. 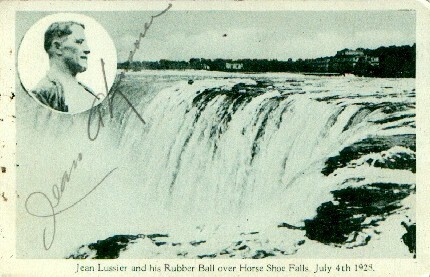 Steve Trotter returns to the Falls again to make his second attempt. This time with a partner, Lori Martin a caterer from Georgia. They were the first male and female to make the big drop together ! Kirk Jones from Canton Michigan becomes first stunter in the history of Niagara Falls to survive the plunge wearing only the clothes on his back. Kirk's idea had been in the works for a number of years. While here on a visit with a friend, Kirk made the decision. They purchased a used video camera to record this historical event and went to the Horseshoe Falls on the Canadian side of the river. Kirk entered the water about one hundred yards upstream and began swimming out into the swift current. 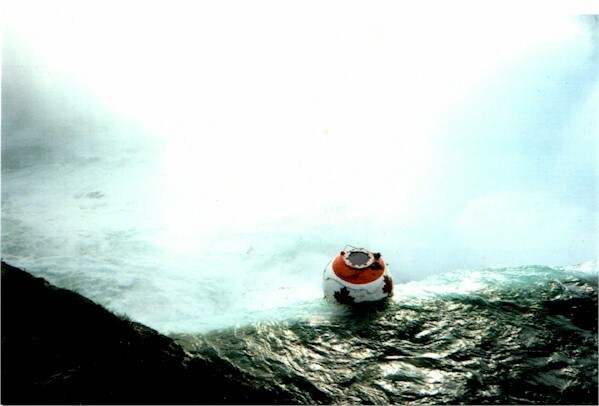 Eight seconds later Kirk made the 175 foot (53.3m) drop and swam to shore while passing up a free ride with the "maid of the mist" tour boat. Kirk was treated for minor bumps and bruises at local a hospital and released only after promising to return for court. For his stunt Kirk was fined a total of $2,300.00 dollars and banned from entering Canada for life. Unfortunately Kirk and his friend had been imbibing in alcohol before the stunt and Kirks friend couldn't figure out how to work the camcorder and the entire stunt went unrecorded! Welcom to IMAX Niagara Falls.